As much as we like to think of ourselves as free thinkers and immune to corporate advertising, there’s no denying that brand names have found their way into pretty much every facet of our daily lives. Many North Americans routinely use “Kleenex” in place of the word tissue; in the UK it’s not unusual to hear people say that they’re about to “hoover up” when referring to running a vacuum cleaner; and in its heyday pretty much any portable gaming device was casually referred to as a Gameboy. The likes of Nintendo and Sony have been household names for years, but did you ever wonder where these names come from and what they might mean in their native language? Author of Japanmanship and game developer James Kay sheds some light on the origins of the names Japan’s biggest video game companies use, from Capcom to SNK, and has generously shared a few snippets of info with RocketNews24 for our enjoyment and nerdy enlightenment. Find out where those world-famous names really come from after the jump. Seeegaaa~! Ah, memories. In school yards across the Western world during the early ’90s, thousands of kids were vehemently swearing allegiance to either the house that made Mario or the company that brought us the world’s fastest blue hedgehog, not to mention ports of arcade classics like Altered Beast and Space Harrier. Few of those little video game zealots would have fought quite so hard to maintain Sega’s seemingly “cool” public image, though, had they known that the company name is actually just the first two letters of its positively snore-inducing original moniker, “Service Games”. The American company (Service Games was founded in Hawaii and later moved to Tokyo to become a major arcade cabinet importer) merged with its largest competitor during the 1960s, at which point the name was shortened to that which appears during the loading screens of our Master System and Mega Drive favourites. And thank goodness for that–“Staaaandard Gaaaames” doesn’t have quite the same ring to it, does it? The guys who brought us the Street Fighter, Mega Man and even Resident Evil series, their name has to mean something cool, right? Perhaps they borrowed it from NASA’s own “capsule communicator” capcom in an effort to sound adventurous and space-age? Afraid not. The name of one of the world’s most well-known video game companies is actually derived from the merging of the words “Capsule Computers”, its original name and one that sounds like something you’d see printed on a t-shirt the kid who spent summer at computer camp made the mistake of wearing to school. Could be worse–imagine if the company had originally been called Wang Computers. Nintendo’s name may always appear in Roman characters when displayed in games, on packaging and even on its English websites, but did you know that during most of its corporate dealings here in Japan the company writes its name in kanji for pretty much everything? Formed of the characters 任 nin (responsibility/obligation), 天 ten (heaven/sky), and 堂 dou (temple/great hall), the name Nintendo, or rather 任天堂, has existed since 1889. That’s not a typo–Fusajiro Yamauchi, the father of late CEO Hiroshi Yamauchi, set up the business as a hanafuda playing card manufacturer long before the existence of video games, famously going on to operate a chain of love hotels and even a taxi service for a short period. What could the name belonging to the company that brought us such classics as Space Invaders and Bubble Bobble possibly mean? Something grand, no doubt? Well, that’d be half right. The company name actually comes from two Japanese words 大 tai (big) and 東 tou (east), the latter also being the same kanji character that appears in the likes of Tokyo (東京) and Touhoku (東北), incidentally. So hats off to the Big Eastern company that created some of the game industry’s most iconic titles! Now also known as Tecmo-Koei Games, Koei may not be quite as well-known as Nintendo et al in the West, but in Japan the company is still kind of a big deal. Koei has produced an enormous catalogue of games, spanning genres including RPGs, neo-romance and real-time strategy, and is perhaps best known in recent years for its tactical action series, Dynasty Warriors. The company’s name actually has quite a sweet story behind it, as it is believed to be a simple anagram of “Keio”, after Tokyo’s prestigious Keio University, which also just happens to be where the company’s (now married) founders, Yoichi and Keiko Erisawa, met. Aww. 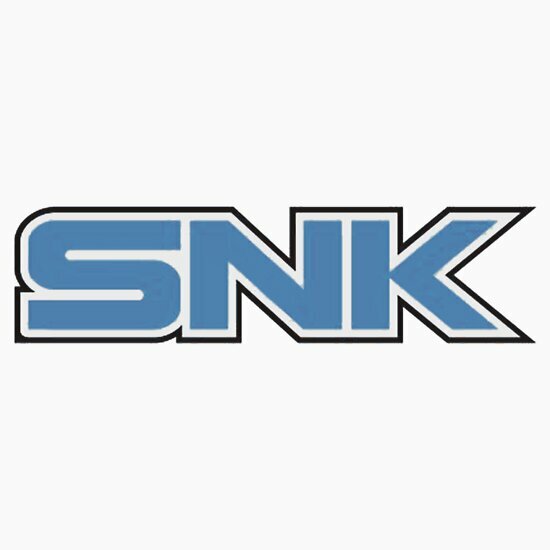 It may go by the brand name SNK Playmore these days, but old-school gamers will always know the company that brought them Ikari Warriors, Metal Slug, The King of Fighters, and of course the Neo Geo itself, simply as SNK, which actually stands for Shin Nihon Kikai, or “new Japan project.” Now aren’t you glad so many of these video game companies use abbreviations and acronyms!? Last but not least, it’s the people who made Pac-Man, Galaga, Ridge Racer and Tekken. Namco joined forces with plastic model and video game developer/publisher Bandai in 2005, and is often referred to by the somewhat inelegant nickname “Bamco”. 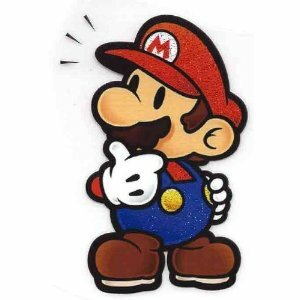 Namco’s original name, however, comes from plain-old “Nakamura Manufacturing Company”, which started out as an arcade cabinet manufacturer, proving once and for all that the Japanese really do love mashing words together to make new ones! “Japanmanship: The Blog 2006-2009” is an e-book featuring posts from James Kay’s original blog and the material that led to his fully fledged paper and e-book guide to breaking into the Japanese video game industry. It is available to download now via Gumroad.